Your ageing old iPhone is getting slower and slower? Just updated to iOS 10 and experienced a slow performance on iOS 10? Apps or games response slowly or sometimes even become unresponsive on your iPhone? How can you fix it? In this article, we offer you some basic tips to speed up slow iPhone 7/7Plus/SE/6s/6/5s/5/4 efficiently. RAM (Random Access Memory) enables apps open and run quickly on your iPhone. Every app will take up a certain amount of RAM when they are running. If you runs a lot apps on your iPhone, the RAM will be used up and make your iPhone slow. Moreover, some apps will continue to take up the RAM even when you quit it. An efficient way to clear RAM on iPhone is hard resetting your iPhone. To hard reset iPhone: Hold the home button and power button simultaneously (power and the Volume Down button on iPhone 7/7Plus) until the screen turns off. With time, your iPhone will accumulate a series of needless files like junk files, caches, logs, history, iOS update caches. Those files will take up large phone storage space and slow down iPhone performance. The most efficient way to fast the slow iPhone is to do a complete clean with a professional iPhone clean tool. 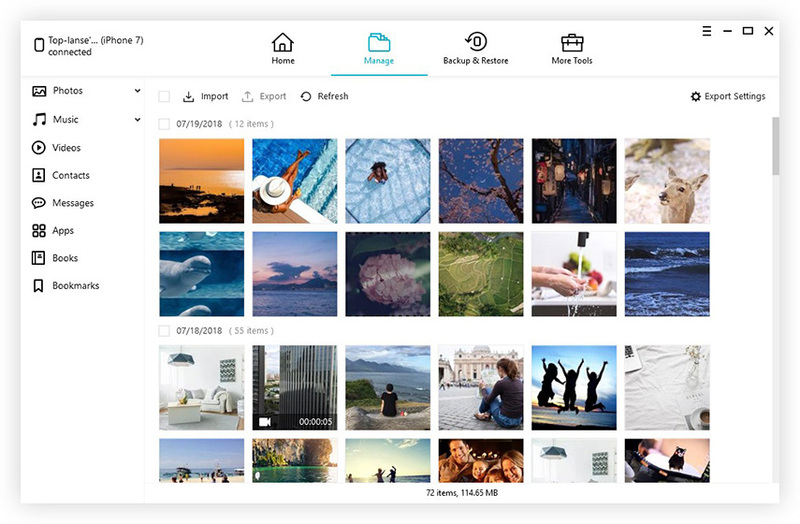 Tenorshare iCareFone is such a iOS cleaner program that can efficiently speed up iPhone 6s by deeply scanning your iPhone and finding all junk files, temporary files, corrupted files, hidden large files on it. Free download and install Tenorshare iCareFone on your computer, and then connect your iPhone to computer with an USB cable. To clean and speed up iPhone: Run Tenorshare iCareFone > Select Speedup & Clean > Quick Scan > Clean up junk and temporary files as you like. Motion and animation effects require your iPhone RAM and processors to work harder, and will slow down your iPhone. To make your iPhone run faster, you can try to disable these cool effects especially when you are using an old iPhone running iOS 10. To Reduce Motion: Settings > General > Accessibility > Reduce Motion. To Reduce Transparency: Settings > General > Accessibility > Increase Contrast. Many apps run in the background while not being used, checking data such as location or refreshing the content. Apps constantly refreshing in the background will consume battery and CPU on your device, which will make your iPhone slower and slower. To Turn off Backup App Refresh: Settings > General > Background App Refresh. To Turn off Auto-Update: Settings > iTunes & App Stores > Automatic Downloads. If nothing gets work to your slow iPhone, I personally recommend you factory reset your iPhone and start off as a fresh device. To factory reset iPhone: Go to Settings >Tap General> Tap Reset > Tap Erase all content and settings > Enter your passcode > Tap Erase iPhone to confirm your action. So, you have listed 5 efficient solutions to speed up iPhone 7/7Plus/SE/6s/6/5s/5/4. 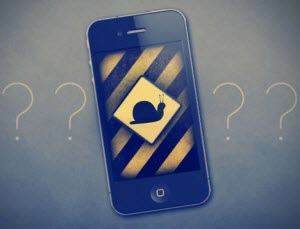 No matter you want to speed up slowing down iPhone after iOS update or jailbreak, our tutorial can solve your problem.